RYA Sailing Courses and private lessons from beginner to advanced. 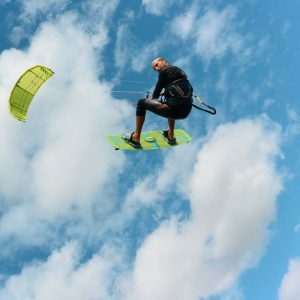 Kitesurf Courses from Camber Sands, in East Sussex, and Greatstone, in Kent. RYA Windsurf Lessons from novice to expert. SUP Courses and private lessons from beginner to advanced. 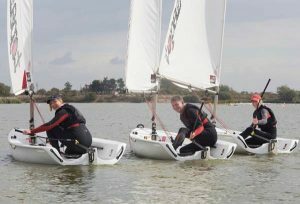 Rye Watersports has been teaching children and school groups RYA windsurfing and sailing since 1986. Rye Watersports is in a superb location close to the sea at Camber Sands in East Sussex on the South East coast. Courses in windsurfing, kitesurfing, dinghy sailing and Stand Up paddleboarding are run to the highest level. Only one hour from South East London this large coastal lake is perfect for all levels whether to learn or hire. 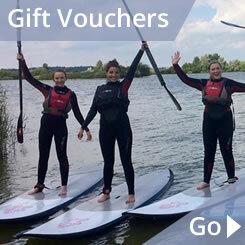 Rye Watersports was set up in 1986 by Margaret Meadowcroft, a senior windsurfing instructor, and the centre is still family run but with other highly qualified instructors as part of the team. Rye Watersports is an RYA windsurfing and dinghy sailing school, a BSUPA Stand Up Paddleboard centre, and BKSA kitesurfing school. We’re situated on the South East Coast, mid-way along the Kent and Sussex coastline, which means the wind stats here are amazing. 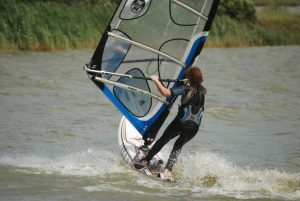 We offer the best conditions for kitesurfing, windsurfing and sailing lessons anywhere in the South of England. The superb beaches at Camber Sands East Sussex and Greatstone Kent are where we run our kitesurfing lessons. We were one of the first kite schools on the South Coast and provide tuition of the highest standard. Ben Ainslie is an inspiration to dinghy sailors with his continued success at Olympic level. Our RYA dinghy sailing school is the perfect place to learn and progress. Our safe inland lake is perfect for Kids camps and RYA windsurfing and dinghy sailing lessons for children. Easter and Summer holidays are jam packed with courses and fun activities for kids. 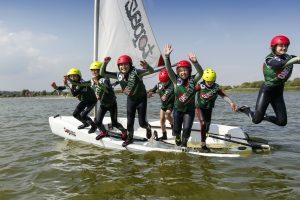 During term time numerous schools from London, Kent and Sussex bring children to us to learn to windsurf and dinghy sail. 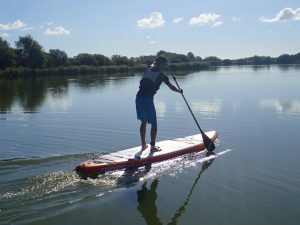 Stand Up Paddleboarding is the latest watersport everyone is wanting to try and our coastal lake in Sussex is the perfect water area to have your first lesson or to come and hire.